Work with all attorneys at no cost to you. You can be seen today! CALL 530-582-7420 for FREE information. 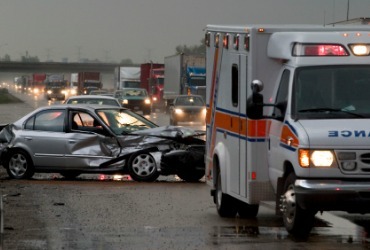 You are covered by auto insurance when involved in a motor vehicle accident. You have the right to medical treatment. By law your insurance company can NOT increase your premiums if you seek medical treatment for injuries sustained in an auto accident. There is NO COST to you working with any personal injury attorney. You can see the doctor of your choice regardless who your attorney may have referred you to. By law you have the choice to work with the the doctor of your choice. We have been working with Personal Injury attorneys for over 20 years having one of the highest success rates in the industry. If you have been involved in a car accident, whiplash injuries must be taken very seriously. Because symptoms of a whiplash injury may take weeks or months to manifest, it is possible to be fooled into thinking that you’re not as injured as you really are. Many times people don’t seek treatment following a car accident simply because they don’t feel hurt. Definitely, the common injury to the neck is a whiplash injury.Whiplash is the result of a sudden movement of the head, either backward, forward, or sideways, that results in the injury to the supporting muscles, ligaments as well as other connective tissues inside the neck and upper back. Unfortunately, by the time more severe complications develop, a few of the damage of the injury might have become permanent.Numerous studies show that years after whiplash victims settle their insurance claims, roughly half of them says that they still experience symptoms from the injuries. If you’ve been in the car or another type of accident, don’t assume that you escaped injury if you are not currently in pain.